Zoo #5 on our summer zoocation was the Seneca Park Zoo Rochester NY. Their new ‘A Step Into Africa’ habitat was great for both photographers and non-camera carrying visitors alike. It is great to see chain-link fencing becoming a thing of the past. Even though it was a hot, hot day most of the animals were active and engaging. It is always best to visit a zoo at the beginning or end of the day. Ciao, Great shots, you should see my attempts! What camera and lens did u use? I use an 18-200. It is a great all purpose lens. Great shots Judith. 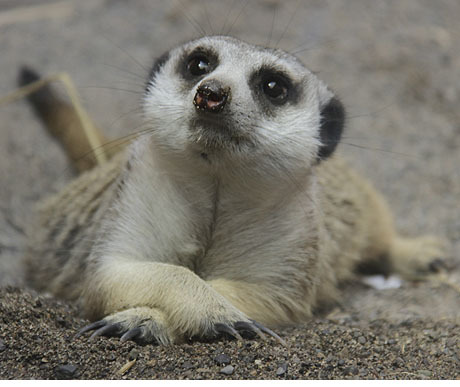 Just love those meerkats. I actually got to hold them at Fellow Earthling Wildlife Center several years ago., It was a great experience.